These are 4 in-depth reviews about all 4 TNG Star Trek movies. In his unique, funny, very smart and to the point way RedLettermedia shows us what went wrong with all these movies and why the TV shows were so much better. Star Trek Generations is considered by him the worst movie ever made. And Nemesis is not much better. In here we also learn more details about the “accident” of his wife and pizza rolls. 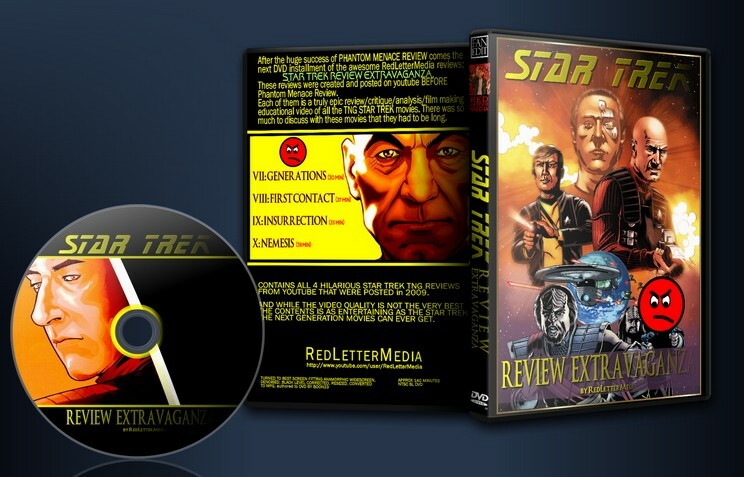 Redlettermedia have made quite a name for themselves over the years...especially in the wake of ever growing criticism of the Star Wars brand, so it's interesting to take a look at some of their earlier work with the TNG Star Trek movies, four very flawed films which seemed to delight in deconstructing everything grand about the Next Generation tv series in favor of Hollywood action shlock. Redlettermedia, via character critic "Mr. Plinkett", a man who thinks these movies are the biggest disappointment since his son, examines the movies in a darkly subversive comedic fashion, which aligns with just how bleak and depressing most of the TNG movies are. I loved these. Not as great as the Star Wars prequel videos, but a must-see for RLM fans. I wish Mike would do a full Plinkett review for ST Into Darkness.